Disclosure:This is a sponsored post on behalf of Medi-Pals. The participating bloggers are not responsible for prize fulfillment. Nanny to Mommy did not receive anything to share this giveaway. One winner will be randomly selected using the Giveaway Tools random selector and notified via email by the hosts of this giveaway, Thrifty Nifty Mommy and Viva Veltoro. Once notified, the winner will have 48 hours to respond or a new winner will be chosen. This giveaway is in no way associated with Facebook, Twitter, Instagram, Pinterest or Google. Void where prohibited. 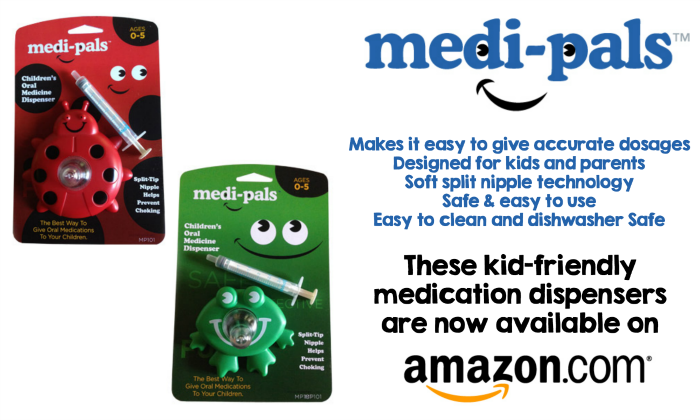 I like the Medi-Pals medicine dispenser because it is easy to use, easy to clean and safer to ensure child gets the right dose of medicine. I would love the frog dispenser for my niece. I like that the Medi-Pals medicine dispenser is easy to use, easy to clean and dishwasher safe. I like the frog dispenser to ensure my niece is getting the right amount of medicine.